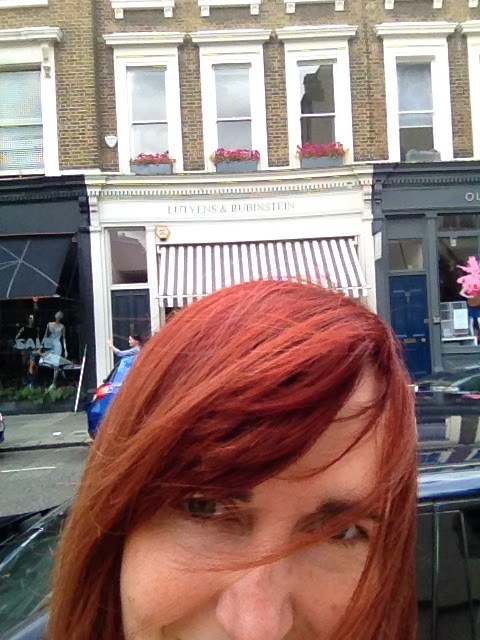 Almost a year ago, in the very early days of this blog, one of the first bookshops I tried to visit was Lutyens & Rubinstein in Notting Hill (just around the corner from the one from the Hugh Grant film). And because of its location I'd, naively, decided the perfect time to visit would be during carnival weekend. It ended up being an exhausting day as I searched in vain, realised my mistake and then searched again as I struggled to find an open tube station to get home, but Lutyens & Rubinstein had been so highly recommended - and has continued to be - that I often found myself wondering about the bookshop I'd missed. It became almost mythical in my imagination, as I wondered if I would ever get to see behind that boarded up window of my first attempt, often trying to fit in a visit during trips to London but never quite making it. The bookshop became my unicorn. 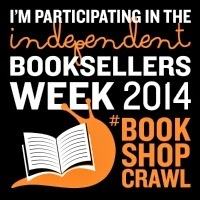 Then Independent Booksellers Week 2014 began promoting its bookshop crawl, and my unicorn was on the list of recommended bookshops. It was now or never. And my goodness am I glad it was now. 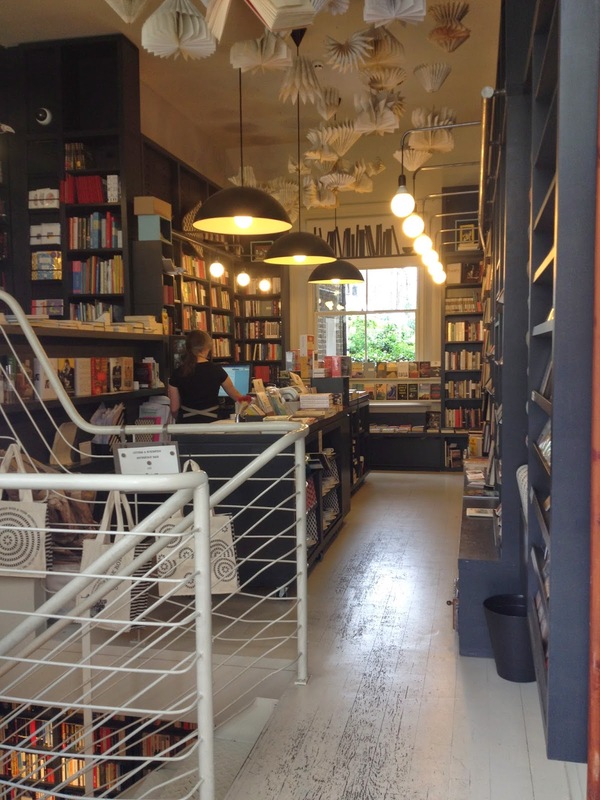 Any concerns I'd had about imagining the shop into more than it could be were completely unfounded, because this is quite possibly the most beautiful bookshop I've ever visited. 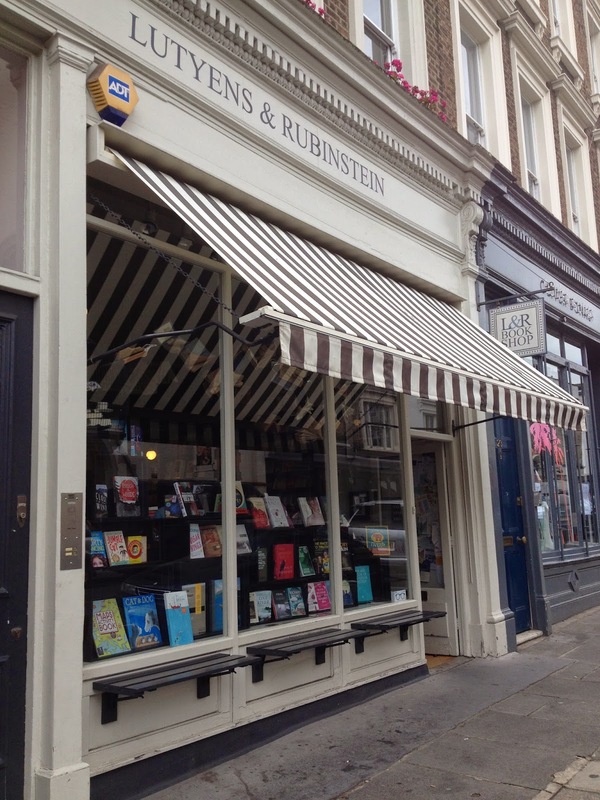 Lutyens & Rubinstein is a small but perfectly formed bookshop on two floors, with charcoal shelves, white detailing and modern interior design to die for. Even the books appear to be more beautiful than usual, as though they've been selected for the beauty of their spines as much as for their fascinating contents. And behind that beauty there really is fascination, with a considered offering to make any discerning bookshopper think carefully about reading (through and) beyond the bestseller list. For my purchase I picked Butterflies in November by Audur Ava Olfasdottir, a striking book with an highly recommended story. Sure, you shouldn't judge a book by its cover, but it doesn't hurt if they look as good as they read and I'm looking forward to this one. It may have taken me a long time to get through the doors of Lutyens & Rubinstein, but this bookshop was definitely worth the wait. As far as I'm concerned, you can never visit too many bookshops. 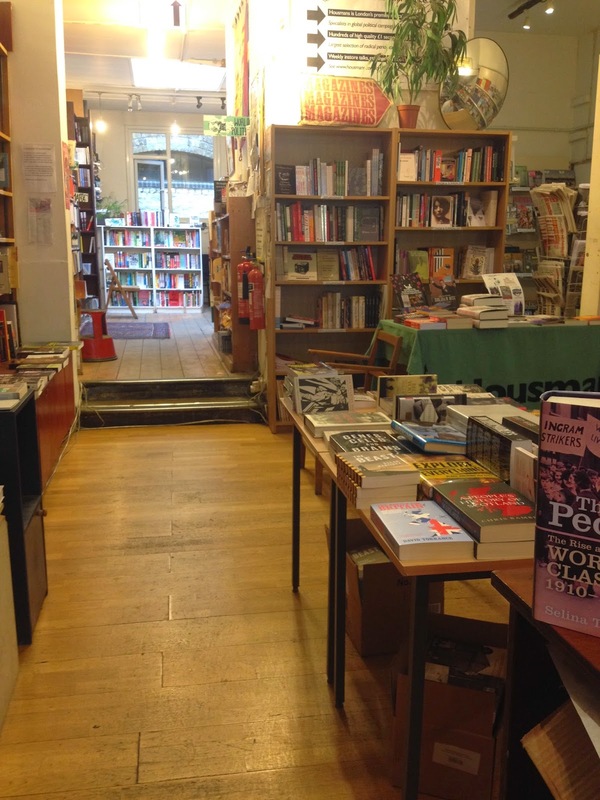 From the tiniest of independent new booksellers to the sprawling mazes stocking all manner of secondhand books – not forgetting the people who inhabit them – there's always something wonderful to be discovered. So when I heard about Independent Booksellers Week's bookshop crawl there was no question about whether I'd take part, only where. Because as everyone knows, it's not safe to drive between bookshops when intoxicated. And after a few hours' bookshopping that's the best way to describe me. 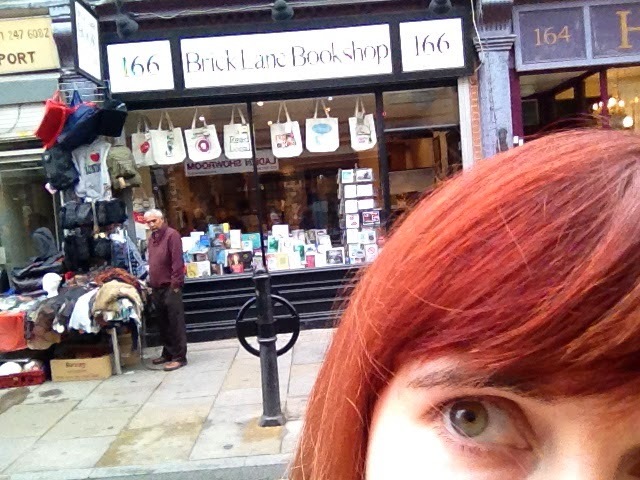 I decided to walk, bus and tube my way across London, meeting a selection from The Booksellers Association's participant list and exploring the bookshop landscape from west to east. My first destination was The Pitshanger Bookshop in Ealing. This homely shop had a real community feel, both physically with its furnishings but also personally, as customers kept popping in asking questions, picking up orders and generally talking books. Impressed by this constant low-level chatter I soon dived in to ask for something to lose myself in, the answer: The Goldfinch by Donna Tart. A bus and a tube ride into town found me in Notting Hill, where I had a quick nosey in the windows of Books for Cooks and the famous The Notting Hill Bookshop (both of which I'm saving for another day) before heading to Lutyens and Rubinstein. One of the first places I tried to visit for this blog, I confess I was a little nervous this one wouldn't live up to the expectations I'd created of it. But my goodness it was worth the wait. All bookshops are attractive places to visit, but the clean lines and beautiful spines on display here made Lutyens and Rubinstein quite possibly the most beautiful bookshop I've ever been in. Taking the tube to Kings Cross, I quickly popped into an old favourite, Watermark Books, which I'd met on my first ever bookshop crawl, before heading to stop three. 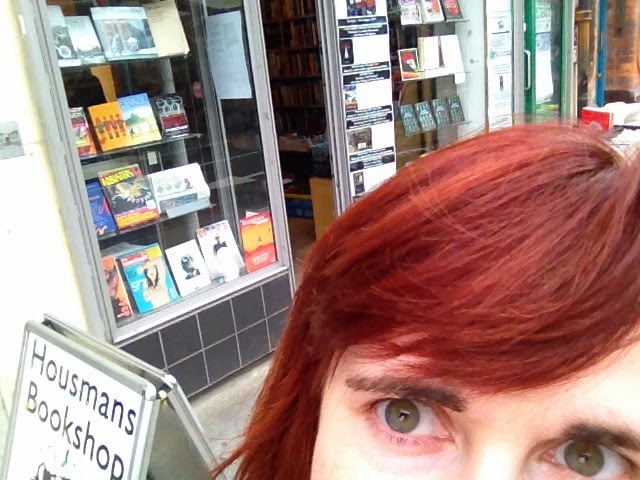 I'd chosen radical booksellers Housmans because part of the joy of a bookshop crawl is to leave your comfort zone: as much as I'd like to change the world, I'm not radical. Thankfully, I soon realised just how much of the stock was something I could relate to. 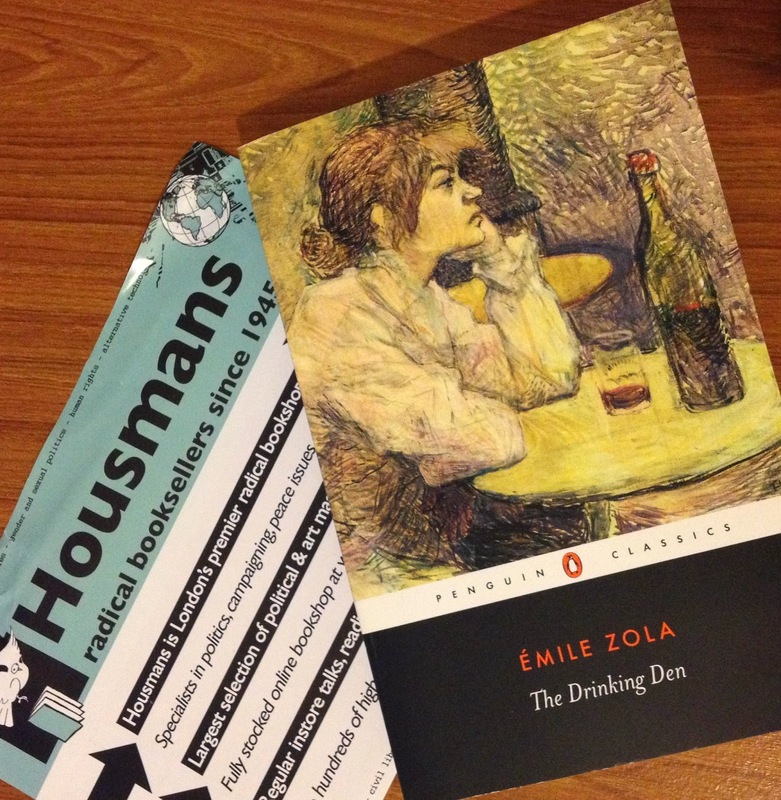 Then when I asked the bookseller for help choosing I was made to feel even more at home as he recommended an author I love: Emile Zola. Clutching The Drinking Den, I moved on. 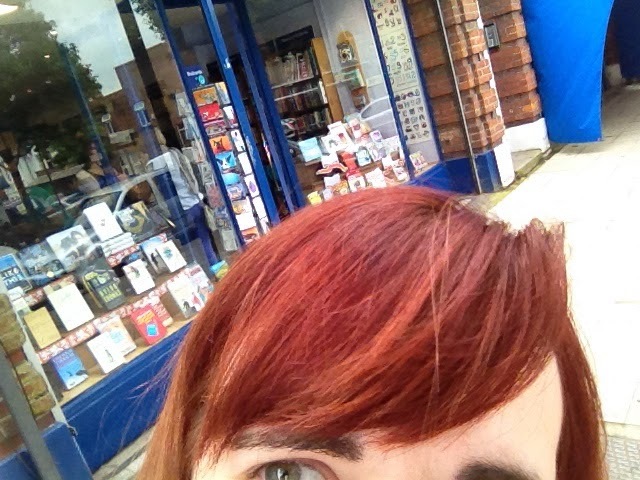 But there was nearby Skoob Books to meet and, quite by chance, some fellow bookshop crawlers (@marionhoney and @booksandquills), not forgetting getting my hands on one of the Independent Booksellers Week 2014 stickers. My only secondhand bookshop of the day, this underground marvel more than lived up to expectations with its maze of shelves and dedicated bookseller (I highly recommend striking up conversation). Indeed, Skoob is so crammed with books I imagine it would be easy to hide away from the world for a good couple of hours/days without being found, something I'm determined to try when I have more time. For now, I gravitated towards an extensive science fiction section and found Iain M Banks' The Player of Games. Returning underground to travel, I hopped onto the tube to head east, where I found myself walking past an array of colours, sounds and wonderful smells to meet my final destination: Brick Lane Bookshop. Crowded with bookshoppers even at the end of the day, this shop is as vibrant and welcoming as the street it inhabits, which helped give me a much-needed shot of enthusiasm to browse the books after a day walking the shelves. Here I picked up The Master and Margarita by Mikhail Bulgakov, but there were so many tempting choices – including a large selection at what appeared to be permanently discounted books – that it was a good job I was at my final destination and able to take my time looking. And so, loaded up with books, sore feet and a little damp after a late rain shower, my bookshop crawl concluded. Yes I was tired, my feet hated me and my hair had frizzed, but who cares? I was drunk on good bookshops, and I'm a very happy drunk. Hatchards of London, bookseller to the queen, stands proud on Picadilly, a symbol of Britishness with its royal seal, flags, and regular procession of black cabs outside. Entering this famous bookshop I was awed by what I found. The many floors of books - accessed by a feature staircase in the front room - and varied rooms were more than I’d ever imagined I could find in an independent bookshop, even one with such a regal recommendation. I found globes in the travel section, attractive selections from independent publishers, cuddly toys for the kids, and all manner of antique chairs and sofas (including my favourite Chesterfields) for readers to relax in. Sure, there was something vaguely familiar as I roamed the bookshop, but isn’t that always the case when you enter a shrine to books? There will always be similarities and differences to any bookshop traveller, with the individual details being what makes each one unique. And so I wandered, falling in love with the dark wood shelves, those varied chairs, and the many interesting collections on offer - especially one room near the back, crammed with all manner of these, from the colourful spines of the Folio Society, to smaller groupings such as Slightly Foxed. It was simply wonderful to just walk, and walk, exploring and revelling in the fact it is possible for an independent bookshop to continue successfully for hundreds of years (Hatchards was established 1797). The more knowledgeable among you will know what’s coming next. Because my excited wandering was cut short when I stumbled across one set of shelves. From a distance I didn’t really understand what I was walking towards, and indeed, it wasn’t until I saw the word kindle that I could really believe what I was saying. 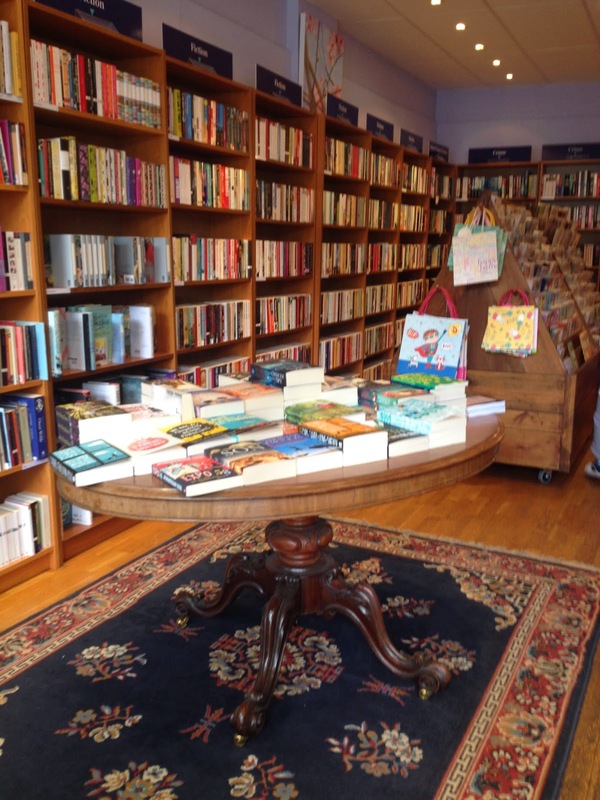 This wasn’t an independent bookshop. Worse, it was a bookshop selling e-readers. Now as I’ve already said, I have no problem with Waterstones. 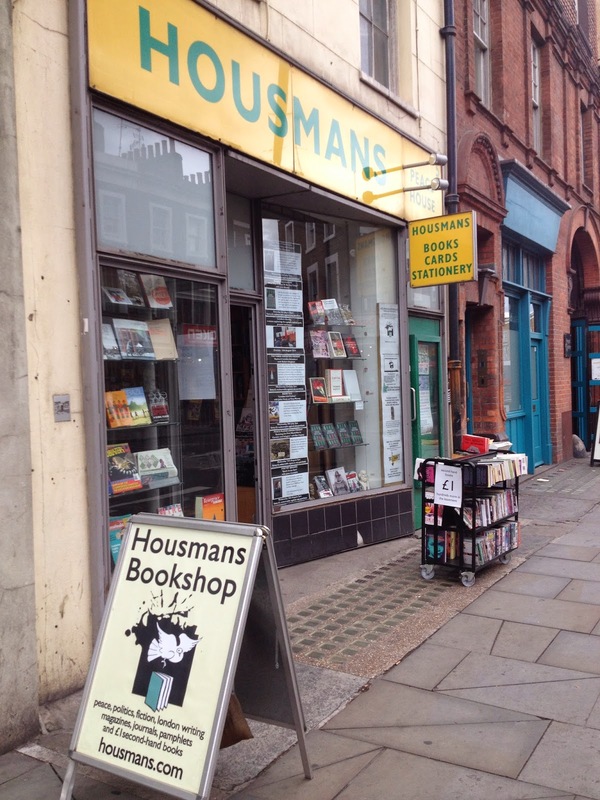 But I do have a problem with honesty, or lack of, and while the ownership of this bookshop was never denied, I couldn’t help but feel a little cheated that it wasn’t really owned up to either. Add to that the horror of e-readers and my excitement was shattered. 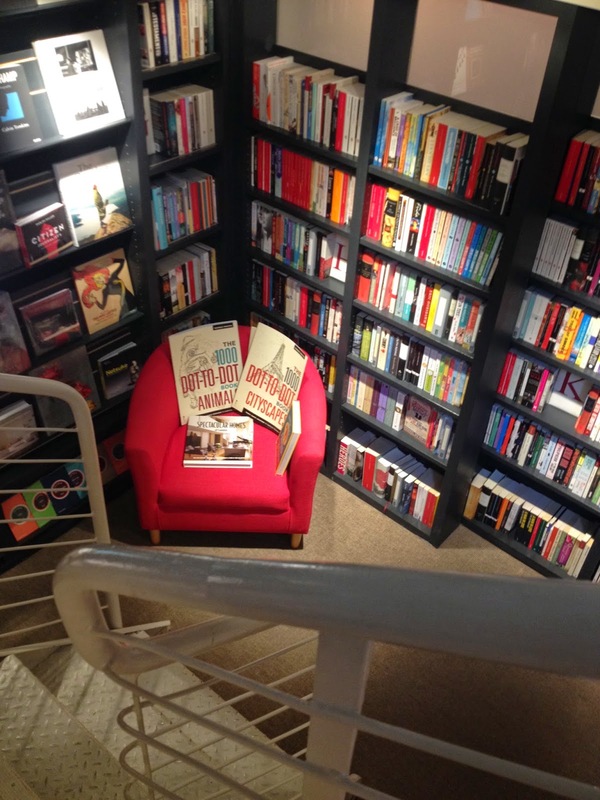 I loved the bookshop, indeed, I happily sat in one of those comfy chairs to read the first few chapters of my purchase: Nathan Filer’s The Shock of the Fall. But I loved it more when I explored in ignorance.